Terence Cheng is a Senior Lecturer with the School of Economics. Prior to joining the University of Adelaide in January 2015, Terence was a research fellow at the University of Melbourne. Terence’s research interests are in the fields of Health Economics, Applied Econometrics, and Labour Economics. 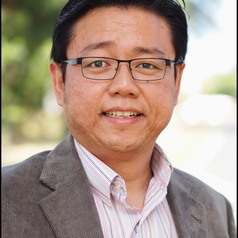 Terence has published in international peer-reviewed journals including the Journal of Health Economics, Economic Journal, Health Economics, and Health Policy. His research has been featured in Australian and international media. Terence has also consulted for and worked on commission research by both governmental and international organisations clients including the World Bank, Victorian Department of Health, and the National Health Workforce Taskforce. He has worked extensively with the MABEL Longitudinal Survey of Australian medical doctors, and is a honorary fellow of the Melbourne Institute of Applied Economic and Social Research. He is also an affiliate of the Health, Econometrics and Data Group (HEDG) at the University of York. Terence obtained his PhD from the Australian National University.